A private wealth advisor reached out to us as he was searching for a resource to bring to his select list of private clients. Once a year, he plans an event that brings his clients knowledge and ideas on subjects that they might not have experience with. He asked us to speak about Bay Area art in context with the larger world of art. Tessa and I talked about a lot of ideas but kept coming back to one: innovation. While the Bay Area is not a major commercial hub like New York, we can claim a reputation for innovation and a dissemination of ideas. 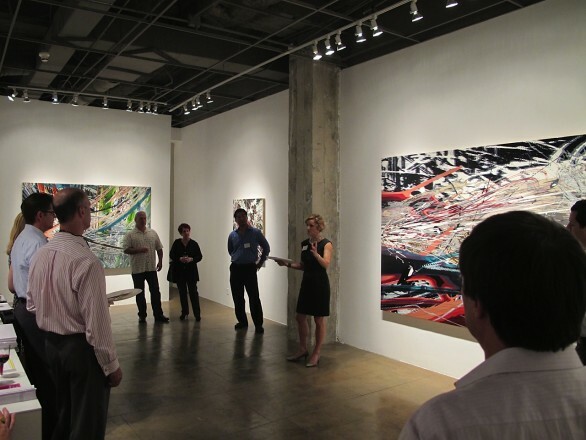 The work of San Francisco artist, Yoon Lee at Marx & Zavattero was the perfect backdrop for this discussion. Lee received her MFA from the San Francisco Art Institute and has participated in some of the Bay Area’s renown non-profit arts programs that support emerging artists. Marx & Zavattero is deeply supportive of Bay Area alternative art spaces and is dedicated to serious artists with singular voices. Their roster speaks for itself. The story of Eadweard Muybridge so eloquently told in Rebecca Solnit’s book, River of Shadows: Eadweard Muybridge and the Technological Wild West begins this story of innovation. At the turn of the century, Eadweard Muybridge was working in the Bay Area as a photographer. This was a time of great technological development in the West…as Solnit describes; train travel literally changed how we experienced time. 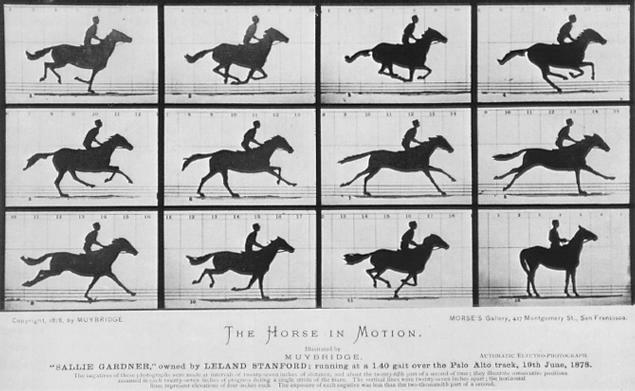 Hired by Leland Stanford to decisively prove whether all four hooves of a race horse were airborne at once, Muybridge began an experimental body of work that ultimately became the foundation for motion graphics. 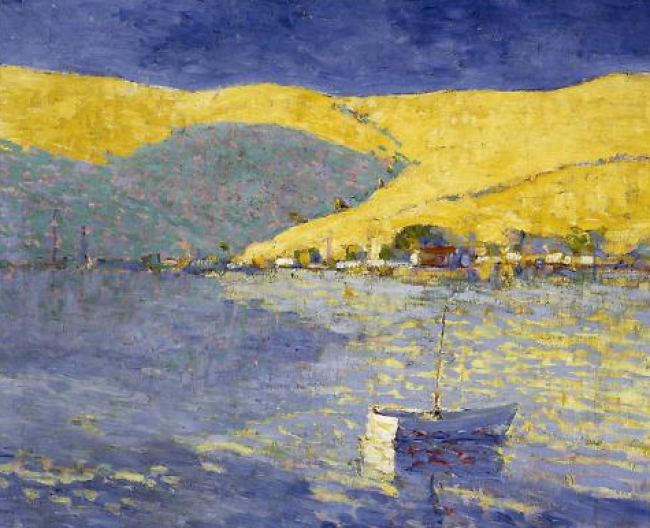 In the twenties, the Society of Six, a ground breaking group of Oakland painters is often referred to as “the most important modernist development that occurred in this country ” according to William Gerdts in this book American Impressionism. With their unified dedication to color focused work that emphasized light and the landscape they laid the ground work for another generation of innovators like Richard Diebenkorn and Wayne Thiebaud. The California School of Fine Arts which in the 60’s became the San Francisco Art Institute, was a at the core of many new ideas in art in Northern California. 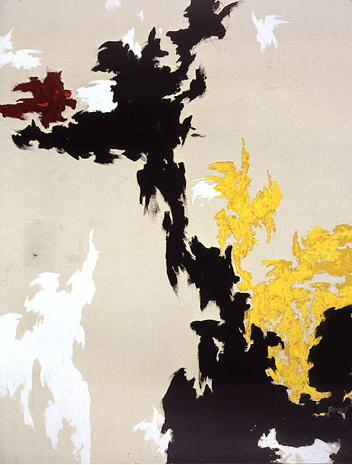 After World War II it became the nucleus for Abstract Expressionism with faculty such as Clyfford Still who is known for laying the groundwork for the movement, and Mark Rothko who is considered one of the most important American post-war painters. 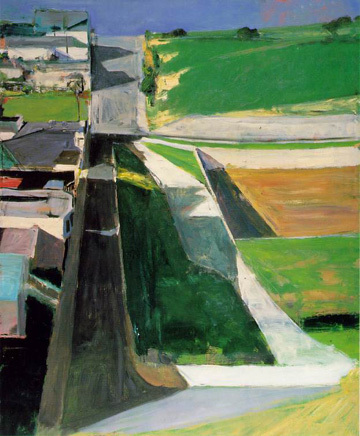 David Park and Elmer Bischoff – also faculty at that time – while initially devoted to Abstract Expressionism, abandoned it in favor of figuration which spawned a two generation movement – Bay Area Figurative Movement – with extraordinary influence on future artists, perhaps the most well known being Richard Diebenkorn. Richard Diebenkorn, Cityscape I, (Landscape No. 1), 1963, Oil on canvas. Source: San Francisco Museum of Modern Art. The 70’s, an era defined by socio-political unrest was heady time in the Bay Area. Paul Kos, David Ireland and Tom Marioni, artists whose innovative approaches to concept-driven work while uniquely their own, shared themes of time and space. With a limited number of exhibition spaces for young work, and more students graduating from art schools, the 70’s marked a growth in non-profit and alternative spaces many of which thrive today. A fundamental commitment to experimentation and support for emerging work continues to define the Bay Area. The San Francisco Art Institute continued its influence in the 1990’s by spawning a group of artists who ultimately became known as the Mission School (a term coined by Glen Helfand in 2002). 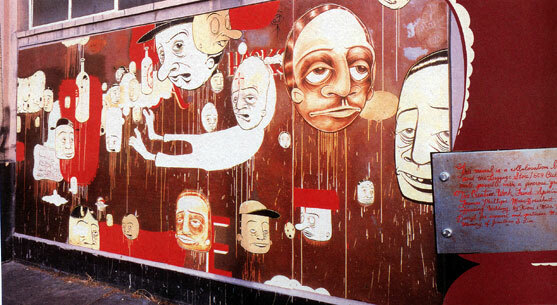 Artists such as Barry McGee and Margaret Kilgallen whose expression was largely defined by the street culture of the Mission incorporated murals, graffiti, comic and cartoon art, folk art and even sign painting in their work. This work ultimately opened doors for the legitimization of street art by the fine art world. More than a century later, innovation in technology has a whole new identity. In the early 1990’s Campbell and artist Alan Rath were the first artists create artwork with self-designed hardware. M.I.T. 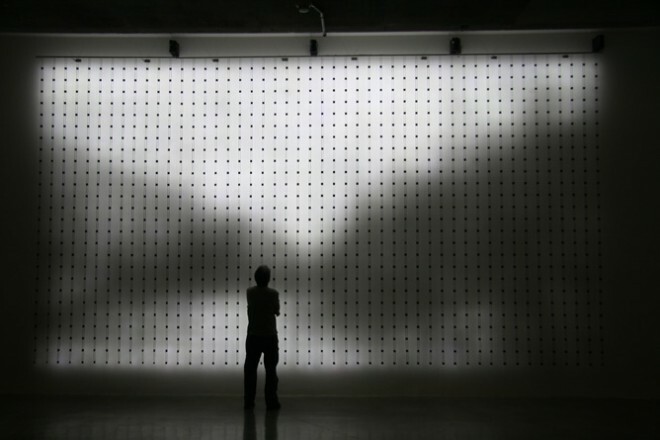 electrical engineer turned artist, Jim Campbell pushes the boundaries of innovation in art by inventing his own medium. For Campbell the technology isn’t a device, but rather the means for exploring ideas of perception, memory and time. The list goes on. What is it that makes the Bay Area this breeding ground of innovation…the light, space, demographics, politics or is it just our reputation as the “Wild West” that ignites the spark of creativity and groundbreaking art?